SACRAMENTO, Calif. /California Newswire/ — Calif. Governor Edmund G. Brown Jr. today named U.S. Congressman Xavier Becerra (D-CA) to replace Attorney General Kamala D. Harris, who was elected to the U.S. Senate last month. 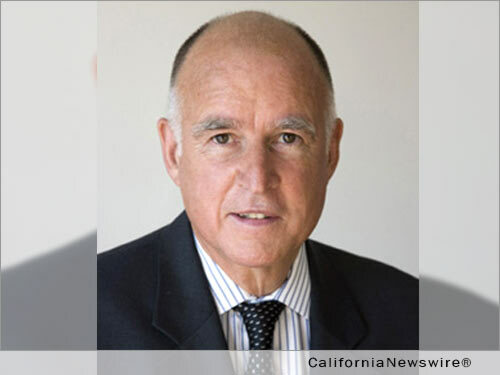 The nomination, which is subject to confirmation by the California State Assembly and Senate, will be officially submitted after Attorney General Harris resigns. Rep. Becerra, 58, of Los Angeles, has served in the U.S. House of Representatives since 1992, most recently as the first Latino member of the Committee on Ways And Means, ranking member of the Ways and Means Subcommittee on Social Security and chairman of the House Democratic Caucus. The congressman is a member of the Congressional Hispanic Caucus, which he chaired from 1997 to 1998, and the Executive Committee of the Congressional Asian Pacific American Caucus. In 2010, Rep. Becerra served on the National Commission on Fiscal Responsibility and Reform. Prior to his election to Congress, Rep. Becerra served in the California State Assembly as representative for the 59th Assembly District in Los Angeles County from 1990 to 1992. He served as a deputy attorney general in the California Department of Justice, Office of the Attorney General from 1987 to 1990. The congressman began his legal career in 1984, advocating for and representing individuals with mental illness. Rep. Becerra earned a Juris Doctor degree from Stanford Law School and a Bachelor of Arts degree in economics from Stanford University. Rep. Becerra is the son of working-class parents and was the first in his family to graduate from college with a four-year degree. His mother was born in Jalisco, Mexico and immigrated to the United States after marrying his father. Rep. Becerra is married to Dr. Carolina Reyes. They are the proud parents of three daughters: Clarisa, Olivia and Natalia.